When my older daughter Faith was about 4 years old we all sat down to watch a movie together as a family. It was probably a Disney, Barbie, or a My Little Pony cartoon but I can’t recall. What I do remember is an event that bowled me over theologically. You see, at the time I was only one year into my “Trinitarian transformation” and the Father, Son, and Spirit seemed to have me on such a fast track that nearly everything around me appeared to shout some aspect of the Gospel of our Inclusion in Jesus. As we prepared the movie, Faith asked if I would make some popcorn with “extra, extra, extra butter”. I agreed and off I went to make real old fashioned stove top popcorn like my grandma Mary Ethel Winn used to make for us on her magic stove. As the movie began Faith and I sat close so that we could share our bowl of popcorn. Just moments into the movie I found myself staring, jaw dropped, and wide-eyed at my 4-year old daughter. She wasn’t levitating or quoting Shakespeare, she was eating popcorn. Yep, I can guess that right now you might be thinking, “That Bill Winn sure is a weirdo.” Well, you might be right. You wouldn’t be the first person to ever tell me they wonder how my brain works and frankly I don’t know either except to say that more and more, in the past 10 years I have tried to make my brain more available to the Holy Spirit. What I had a front seat to that night on the couch with Faith was her personhood, she’d always had it but in her development as a child it was becoming more obvious. You see I was eating the popcorn too, and the butter and salt content was perfect (if I do say so myself). I was enjoying the popcorn but Faith was too, why? She was enjoying the popcorn because it tasted good and, as a distinct person in the Cosmos, she liked it. We are distinct persons given a place in the Triune God’s Universe. The great news of the Gospel is that we have been included in the life of Jesus with his Father in the fellowship of the Holy Spirit and we will never lose our personhood. We will never not be us. Our inclusion and union must never be thought of like a droplet that gets included in a bucket of water. If we put a droplet of water in a bucket of the same substance it become indistinguishable from the rest of the water. Our inclusion, our union, did not cause humans to disappear into God. No, our inclusion and union highlight us as persons so that we are more brightly shining as the Image of God than ever! Humanity has been included in the Shared Life of the Father, Son, and Spirit. Trinity and Humanity- in unity, but forever distinct persons. Thank you Jesus that you love me and have included me and that you value me so much that you have ensured that I will always be me and someday… a more awesomely Christ-like me than I can imagine! Don’t we all have some childhood memory of a day or time when we were excluded from a group to which we wanted desperately to belong? Isn’t there still just a little something inside us that cringes when we see a ‘members only’ sign? Are not all of us offended to some degree when we are shut out or excluded? The wretchedness of segregation with its ‘whites only’ placards has left a scar on our society from which we are hopefully recovering. My favorite game, golf, has been notorious for excluding others to one degree or another. What is it about us that enables us to feel pain inside when we are excluded? Why does it hurt so much? Well, the answer is simple: Jesus! Yes Jesus is the reason we hate to be excluded or left out. It is because of Jesus that we ARE included in the life he and his Father share in the Holy Spirit. Triune God has existed eternally in perfect love and fellowship, unencumbered freedom and wholeness, and complete and lasting union. It is here that the cause of creation is found. Did you know why you were created? It was not, first, to worship or glorify God. You were created by God for God. In short, you were created for inclusion. You were created because before the foundations of the world were laid the Blessed Trinity set Their love upon you and determined to include you in Their circle of life and love. You were created simply and plainly so that the Father could share His love and life with you. In the person of Jesus Christ you HAVE been included in the Triune Life of God. In His earthly ministry Jesus has gathered you up in Himself and placed you in the center of a circle of fellowship with the Father, Son, and Holy Spirit. Often we hear it said that somehow we have the capability of being separated from God… because of sins or unbelief or some other such nonsense. The truth is we have no power to be here. Either we are connected to God or we cease to exist. So when we hurt because of some physical exclusion it is merely a shadow of a larger reality. That reality is that in Jesus we are INcluded where it really matters- in the very life and being of God. So now the reason you hurt when you are told that you are excluded is simply because you are INcluded. If someone were to twist my arm it would surely hurt, but only because my arm is attached to my body. If the arm were separated from me that person could twist it all day long and it would not hurt. You are included in Jesus and the lie that you are excluded hurts simply because there, on your Spiritual DNA, is written the truth that you belong to the Father, Son, and Spirit and you always have and you always will. So let us resolve to include others in much the same way we have been included in the Trinity… without reservation, judgment, or prejudice. 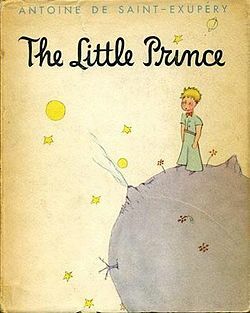 The summer is a time for reading all manner of good books, and I just finished a classic novella by Antoine de Saint-Exupery called The Little Prince. Although this book isn’t a religious book, I think it has a lot to say about our relationship with the Father, Son, and Holy Spirit. You are beautiful, but you are empty…One could not die for you. To be sure, an ordinary passerby would think that my rose looked just like you…But in herself alone she is more important than all the hundreds of you other roses: because it is she that I have watered; because it is she that I have put under the glass globe; because it is she that I have sheltered behind the screen; because it is for her that I have killed the caterpillars (except the two or three that we saved to become butterflies); because it is she that I have listened to, when she grumbled, or boasted, or even sometimes when she said nothing. Because she is my rose. 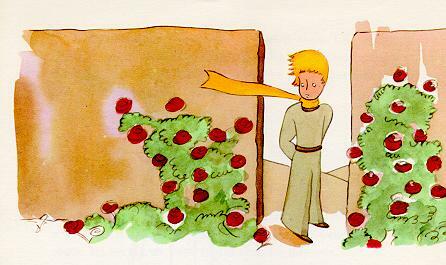 The fox explains to the little prince “it is the time you have wasted for your rose that makes your rose so important,” and so it is the time that the Triune God has invested in adopting and including humanity in their relationship from the foundation of the world that makes us so important. 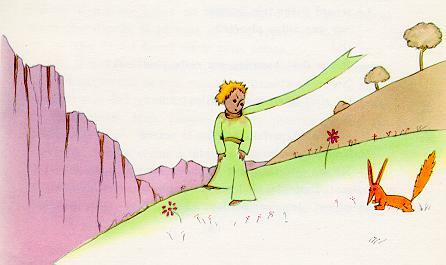 The little prince had to travel a great distance to learn from a fox that what really matters isn’t always seen with the eyes, and that when you make a friend, both of you are “tamed.” The fairy-tale story of The Little Prince helps us to see the intricacies of our relationship with the Father, Son, and Holy Spirit from a new perspective.